This amazing built home with attention to details and custom look that will please any buyer. Smooth finished ceilings, wood shelving in pantry and closets, cased windows and doors. Beautiful flooring and cabinetry. 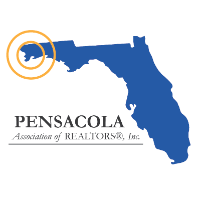 Located in one of Pensacola's premier gated communities. I am interested in 5856 Huntington Creek Blvd, Pensacola, FL 32526 (Listing ID # 550995).